With the excessive use of power in the current age, it is becoming clear that renewable energy is the best option for our planet. Harnessing water and solar power allows businesses and individuals to have renewable energy sources for long periods of time. Stock in solar power is on the rise as well, as this eco-friendly energy gains recognition. Included here are a few reasons solar power is gaining popularity. Many businesses and individuals are discovering the benefits of going solar for their energy needs. 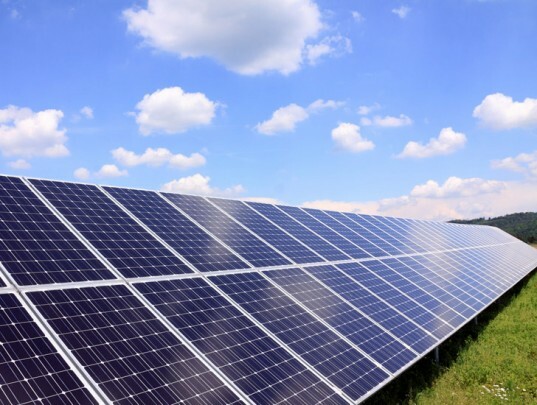 The overall cost of energy is greatly decreased when a business begins to depend on solar. You may even discover that after making this shift, you will be selling energy back to the electric companies. Companies have begun to discover that solar power is not an expense, but an investment. The average solar-powered business or home recoups all investment costs and begins to turn a profit after a certain number of years. Because of the savings in power and the added income from reselling the power, many solar panel owners recoup their entire investment plus 20 percent. With the “going green” movement on the rise in our society, it is no wonder that buildings equipped with earth-friendly management techniques are worth more. On average, structures with clean energy systems sell twice as fast as other houses and are worth 3-4 percent more. Not to mention, communities are far more receptive to new businesses being built when they have green systems that value the planet. Buildings account for around 35 percent of all carbon emissions in the United States and going solar-powered can greatly reduce this. The average residential solar power system will get rid of 3-4 tons of carbon emissions each year. This decrease in carbon emissions is equivalent to planting nearly 100 trees per year. With increasing awareness on the consumer’s part of sustainable business practices and earth-conscious decisions, it is no surprise they have become choosier about which companies they support. By making your business more eco-friendly and employing cleaner systems, you will be more appealing to customers and build a brand loyalty. Additionally, many communities are more supportive of businesses that operate green and that could benefit your bottom line. It is no secret that employees need to be feeling invested in a company to produce results. Increasingly, employees are shown to be more engaged, have greater morale and lower turnover rates in companies that are earth-conscious. There is often greater pride on behalf of the employees and they feel more content working at a company that values the earth.